We have a variety of vacuum bags to chose from for your vacuum cleaner. 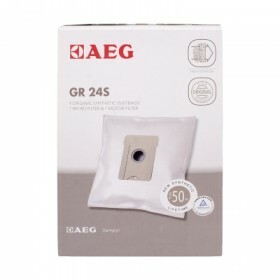 Description: AEG bags GR24S model, 4 original synthetic dustbags, 1 micro filter and 1 motor filter,.. Description: AEG dust bags GR28 for Vampyr 5000 and CE series vacuum cleaners,incl 5 bags and 1 micr.. 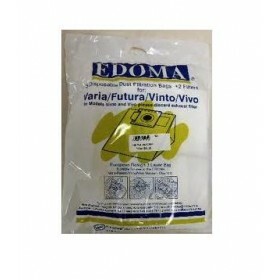 Description: Edoma Bags -4 disposable dust bags +2 filters for Varia / Futura / Vinto / Vivo models .. 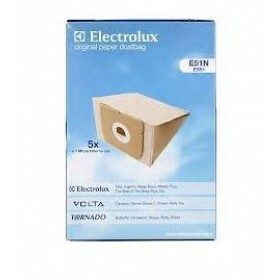 Description: Electrolux Bags E51N for use in Electrolux, Volta and Tornado vacuum cleaners. Please c.. 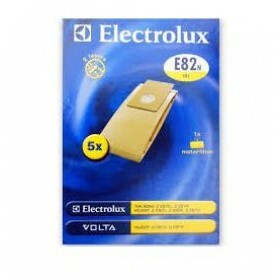 Description: Electrolux Original bags E82N, for use in Volta Hilight U 2910, U 2915, Electrolux The .. Description: Electrolux E201S S-Bags for most Electrolux, Philips, AEG, Tornado, Volta va.. Description: Lux 1 dust bags- 5 paper bags .. Description: Lux 5 bags fit D 748,D 750,D 768, D 770, D 775, D 780,D 790, D 795 vacuum cleaner model.. Description: Lux Cloth Bag with plastic front bit.Fit D725 and few other similar models. .. Description: Lux D746 bags- 5 dust paper bags .. Description: Menalux 1000 Bags for use in AEG,Alfatec,Electrolux,Progress,Tornado< Volta ,Zanussi.. 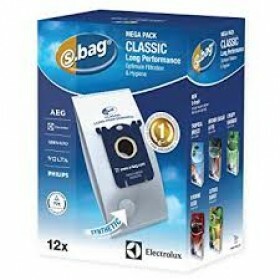 Description: Menalux 1002 Bags for use in AEG,Alfatec,Electrolux,Progress,Tornado,Volta ,Zanussi vac.. Description: Menalux 1200 bags for use in Electrolux,Progress,Tornado,Volta,Hugin,Miostar.Please che.. Description: Menalux Bags 1204P for use in Electrolux ,Acec,Husqvarna,Paris-Phone and Volta vacuum c.. Description: Menalux 1800 bags,for use in AEG,Electrolux,Progress,Tornado,Volta,Zanussi,Philips vacu..